Paul Kagame won a third presidential term with 98 percent of the vote in August 2017 (see Introduction). The lead-up to presidential elections in August 2017 saw a proliferation of progovernment commentators attacking opposition candidates and critics online (see Media, Diversity, and Content Manipulation). In March 2018, blogger Joseph Nkusi was sentenced to ten years in prison for incitement to civil disobedience and the spread of rumors (see Prosecutions and Arrests for Online Activities). Private WhatsApp messages were used as evidence to prosecute opposition presidential candidate Diane Rwigara for alleged incitement against the government (see Prosecutions and Arrests for Online Activities). As Rwandans geared up for the September 2018 parliamentary elections, internet freedom declined due to numerous legal restrictions placed on online speech, the growing prevalence of government trolls manipulating online content, and harassment and attacks against online journalists and human rights defenders. While Rwanda has made remarkable progress in its economic and ICT development, the government continued to restrict freedom of speech and political activity under the pretext of maintaining stability in the aftermath of the 1994 genocide that claimed over 1,000,000 lives. President Paul Kagame’s repressive government has crippled independent civil society and journalism, both in traditional media and online. Pro-government views dominate domestic media, while the authorities work quickly to censor critical viewpoints, resulting in an information environment that projects a single narrative of unity, peace, and progress. Unlawful secretive detentions, torture, and even extralegal killings of citizens for their critical viewpoints often go unreported. Paul Kagame won a third presidential term with 98 percent of the vote in August 2017. During the campaign period, authorities cracked down heavily on opposition figures and arrested the only presidential candidate who attempted to run against Kagame, Diane Rwigara, along with her mother and sister. Online content manipulation became more prevalent with the proliferation of government trolls that attacked opposition candidates and critics on social media. In March 2018, a court sentenced blogger Joseph Nkusi to ten years in prison for incitement to civil disobedience and the spread of rumors. In 2016, Nkusi, who had lived in Norway since 2009, was deported following the rejection of his asylum application. Upon his return to Rwanda, he was immediately arrested and questioned about his political activities and blog postings, which were known for their sharp criticism of the Rwandan government. The president signed revisions to the penal code into law in August 2018 that increases penalties for criminal defamation, with prison sentences of five to seven years for defamation against the president, among other new penalties. The government blocked some Ugandan websites as a result of diplomatic tensions between the two countries. Ugandan authorities accused Rwanda of spying and destabilizing their country, while the Rwandan government complained that its citizens were being illegally arrested and tortured by Uganda’s security forces. Rwanda continued making strides in expanding internet access and improving affordability. Access to information and communication technologies (ICTs) in Rwanda has improved notably in recent years. The government has invested in building its internet infrastructure and other ICTs in its effort to develop a robust information economy. According to a March 2018 report by the Rwanda Utilities Regulatory Agency (RURA), the sector regulator, internet penetration has reached 47.8 percent.1 Estimates from the International Telecommunication Union (ITU) were lower, at 20 percent penetration in 2017.2 ITU also reported that 70 percent of the population had mobile subscriptions in 2017, while 20 percent had active mobile-broadband subscriptions. According to the Rwanda Development Board, Rwanda continues to be one of the fastest growing African countries in ICTs, possessing several avenues for growth for the ICT sector—from e-commerce to app development to automation. The country has strived to become a regional training center for quality ICT professionals and research, fostering a robust ICT industry to create local jobs and foster entrepreneurship. Censorship of online content remained high, with a number of independent online media outlets still blocked in the country. In the lead-up to the August 2017 elections, progovernment commentators attacking opposition candidates on social media increased notably. The government restricts the types of online content that users can access, particularly content that strays from the government’s official line. 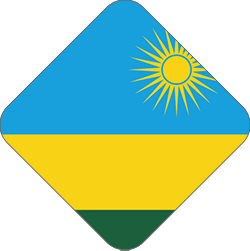 In 2017 and 2018, numerous independent news outlets and opposition blogs that have been blocked for years remained inaccessible, including the websites of Inyenyeri News, The Rwandan, and Le Prophete.26 Independent regional news outlets such as Great Lakes Voice and websites of the Rwandan diaspora such as Rugali are also blocked and only accessible via web proxy. There is no transparency behind the government’s blocking decisions and no avenue for appeal. As of mid-2018, the previously blocked news website Ireme News was accessible, but visiting the site yielded a generic page from its web host, justhost.com.27 According to local sources, the outlet’s owner, William Ntwali, had negotiated with the government to unblock the site, but refused to pay the web hosting fees until the government granted him the right to resume operations in the country.28 The BBC Kinyarwanda/Kirundi website remained inaccessible despite the government announcement in May 2015 that only the BBC’s Kinyarwanda radio service was suspended. Social networking sites such as YouTube, Facebook, and Twitter; and communications apps like WhatsApp, are freely available. International news sources, some of which are critical of the Rwandan government, are also available online. These websites most likely remain unblocked because most Rwandans engage with content in the local language, Kinyarwanda. Credible sources claim that the Office of the Government's Spokesperson (OGS), Rwanda's propaganda office, has administrative access to the websites of some nominally independent newspapers. Government employees regularly remove stories deemed to be critical of the Kagame administration. In May 2017, the National Electoral Commission (NEC) established new regulations requiring all candidates for the 2017 presidential election to seek approval for campaign messages they planned to post online, which the NEC executive secretary claimed was necessary to ensure that social media messages were not “poisoning the minds” of Rwandans.32 Strong criticism within Rwanda, amplified by high-profile attention in the international media, led the NEC to reverse its decision in June 2017.33 If implemented, the regulation would have allowed the NEC to censor any campaign message it disagrees with, or which is critical of the ruling Rwanda Patriotic Front (RPF) party, essentially restricting political speech during the election period. Candidates would have been required to submit their online campaign messages to a team set up by the NEC 24 hours before they planned to publish the post. According to a 2010 law relating to electronic messages, signatures, and transactions, intermediaries and service providers are not held liable for content transmitted through their networks.34 Nonetheless, service providers are required to remove content when handed a takedown notice, and there are no avenues for appeal. Government repression of the media greatly limits the diversity of the information landscape, both online and offline. Critical and independent online news produced by opposition supporters overseas—mainly in Europe, the United States, and South Africa—are blocked in Rwanda. Few Rwandans are aware of this practice, though savvy journalists seeking independent sources of information report using proxy servers to access critical information.35 However, independent outlets face economic challenges in comparison to their state-run counterparts, which receive income from government advertisements and direct subsidies.36 Large businesses only advertise with state-owned or progovernment media outlets based on an unspoken rule. When online journalists try to push the boundaries, their editors frequently contend with editorial interference by security officials and other government authorities who impose redlines that limit what can be published.38 Journalists say editorial decisions are heavily influenced by government forces—including police officers, army officers, and powerful leaders—whose demands are colloquially known as “I say this.” According to journalists interviewed anonymously, security officials often check journalists’ stories and photos before they are published to ensure they toe the government line. For example, during the 2017 presidential campaign, editors of Igihe, an online news outlet, were not allowed to publish articles on candidates that were challenging President Kagame, two sources confirmed. Another respondent said that authorities have tightened their control of the media by ensuring that each news organization employs a government representative to monitor editorial content. Online content manipulation has been a persistent issue in Rwanda over the years. Social media accounts with government affiliations regularly debate and harass individuals who post online comments considered critical of the government.39 Progovernment accounts also mobilize to retweet and post positive comments in response to President Kagame’s tweets to project an image of widespread support. Through Itorero, a state-run traditional school of values, the government has mobilized social media users to counter the views of individuals deemed to be “enemies of the state.” The so-called "Twitter Army" has systematically attacked and discredited individuals and media outlets that are critical of the government. According to local sources, these social media users are rewarded for their attacks with access to jobs at government institutions and private companies that have ties to the ruling party. One source said that intelligence services monitor and report social media users who engage constructively with government critics. Digital activism over political and social issues is not common in Rwanda. Radio and television call-in programs were once a positive outlet for citizens with mobile phones to anonymously voice critical political or social viewpoints. However, given SIM card registration requirements, users have become reluctant to participate in critical or sensitive discussions out of fear of being identified. The president signed into law revisions to the penal code in August 2018 that increases penalties for criminal defamation, with prison sentences of five to seven years for defamation against the president, among other increased penalties. Blogger Joseph Nkusi was sentenced to ten years in prison for incitement to civil disobedience and the spread of rumors. Rwanda’s legal framework is used to restrict fundamental rights to freedom of expression, despite constitutional protections. Compounding the restrictions, the Rwandan judiciary is not independent, and many journalists view the threat of imprisonment as a key constraint on their work. A new ICT law enacted in June 2016—known as Law N°24/2016 of 18/06/2016 Governing Information and Communication Technologies published in Official Gazette n°26 of 27/06/2016—created a new legal and regulatory framework for the ICT sector and codified specific restrictions on internet activities that are antithetical to internet freedom.40 Most notably, provisions in the law prohibit the dissemination of “grossly offensive” or “indecent” messages as well as the use of ICTs to cause “annoyance, inconvenience, or needless anxiety.” 41 Violations are punished in accordance with the penal code. Citizens and journalists are periodically arrested for online activities in Rwanda, though the high degree of self-censorship practiced by online journalists and ordinary users alike has resulted in fewer incidents in the recent past. Cases may also be underreported, given the government’s strict controls of the media. During the coverage period, at least one prison sentence for online activities was reported. In 2018, interviews with anonymous local sources confirmed that government representatives are systematically embedded within the operations of telecom companies for the purposes of surveillance. Telecom technicians are also known to routinely intercept communications on behalf of the military. In July 2018, the government passed a law that extends the powers of interception to a civilian institution, the Office of the Ombudsman, to investigate corruption-related crimes.62 Previously, interception powers were only held by security agencies such as the police, military, and intelligence services; the law was vague about whose communications could be intercepted. The interception of communications without the prior authorization of a judge is still legally permissible. In July 2015, email leaks from the Italian surveillance firm Hacking Team revealed that the government attempted to purchase sophisticated spyware known as Remote Control System (RCS) in 2012.63 While the leaked emails did not confirm that a sale took place, they illustrate the government interest in acquiring technology that can monitor and intercept user communications. Critical journalists frequently face violence and harassment when attempting to cover news stories, leading many to flee the country.68 Progovernment trolls regularly harass journalists and ordinary users on social media for their posts about the government or public issues that may be deemed critical. 3 Akamai, “Average Connection Speed: Rwanda,” map visualization, The State of the Internet Q1 2016, http://akamai.me/1OqvpoS. 8 Ministry of Youth and ICT, “Measuring ICT sector performance and Tracking ICT for Development (ICT4D),” 2014, http://bit.ly/1NfV6Hb. 9 Philippe Mwema Bahati, “Rwanda to develop a master plan for e-Government,” Rwanda Focus via All Africa, December 14, 2013, http://bit.ly/1Loqu3j. 10 Beth Lewis Samuelson and Sarah Warshauer Freedman, “Language Policy, Multilingual Education, and Power in Rwanda,” Language Policy 9, no. 3 (June 2010), http://bit.ly/1bmZW5X. 11 USAID, “Rwanda Power Africa Fact Sheet,” March 28, 2018, https://bit.ly/2IeHjo5. 12 Law No. 44/2001 of 30/11/2001 Governing Telecommunications, http://bit.ly/1G9mOG3. 13 International Telecommunication Union, “Rwanda Profile (Latest data available: 2013),” ICT-Eye, accessed January 3, 2016, http://bit.ly/1LS1oJs. 14 RINEX, accessed December 13, 2014, http://www.rinex.org.rw/about.html. 15 R.I.C.T.A, “About Us,” http://www.ricta.org.rw/about-us/. 16 Rwanda Internet Exchange (RINEX), “About Us,” http://www.rinex.org.rw/about.html. 17 Albert Nsengiyumva and Emmanuel Habumuremyi, A review of telecommunications policy development and challenges in Rwanda, Association for Progressive Communications (APC), September 2009, http://bit.ly/1MtFpZY. 18 There is no public information about the ownership shares of telecoms in Rwanda. 21 Rwanda Utilities Regulatory Authority (RURA) was initially created by the Law n° 39/2001 of 13 September 2001 with the mission to regulate certain public utilities, namely: telecommunications network and/or telecommunications services, electricity, water, removal of waste products from residential or business premises, extraction and distribution of gas and transport of goods and persons. This Law was further reviewed and replaced by Law Nº 09/2013 of 01/03/2013. 28 Author interview, June 2017. See also: Arthur Gagwa, “A study of Internet-based information controls in Rwanda,” Centre for Intellectual Property and Information Technology Law, Strathmore Law School, Kenya, October 2017. 30 Interview with journalist writers of Igihe and Kigali Today who requested to stay anonymous. 31 Two online news websites, Umusingi and Umurabyo, had reported experiencing such requests to delete content related to local political affairs and ethnic relations in previous years. 38 “I know very well that people would really want to read an article about some malpractices that happened in a certain District in Southern Province, where agents voted for people who were not around and influenced voters just for a certain candidate to win as was already decided. However, I know that this can endanger my outlet,” said one online journalist interviewed on February 24, 2016, who requested anonymity. 57 Human Rights Watch, “Rwanda: Repression Across Borders,” January 28, 2014, http://bit.ly/1i9HihM. 58 “Law Relating to the Interception of Communications” Official Gazette nº 41 of 14/10/2013. 59 Art. 7, “Law Relating to the Interception of Communications” Official Gazette nº 41 of 14/10/2013. 60 Art. 12, “Law Relating to the Interception of Communications” Official Gazette nº 41 of 14/10/2013.